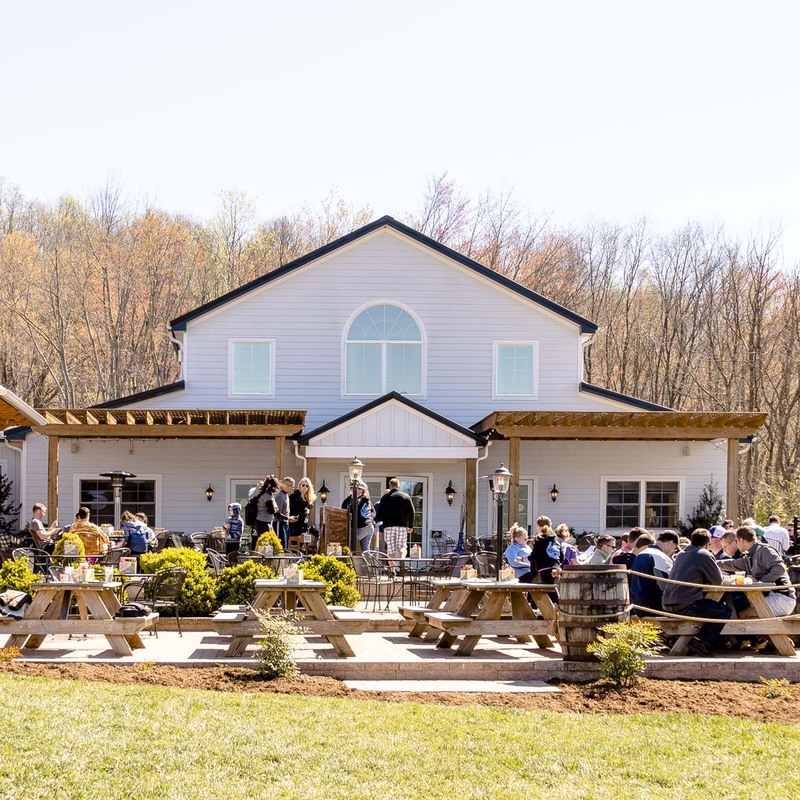 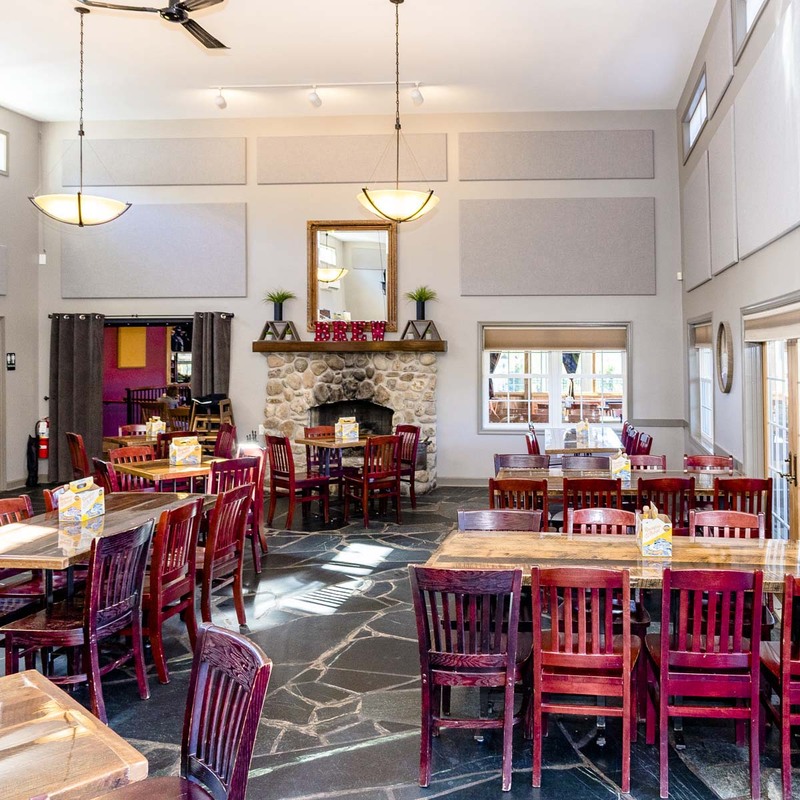 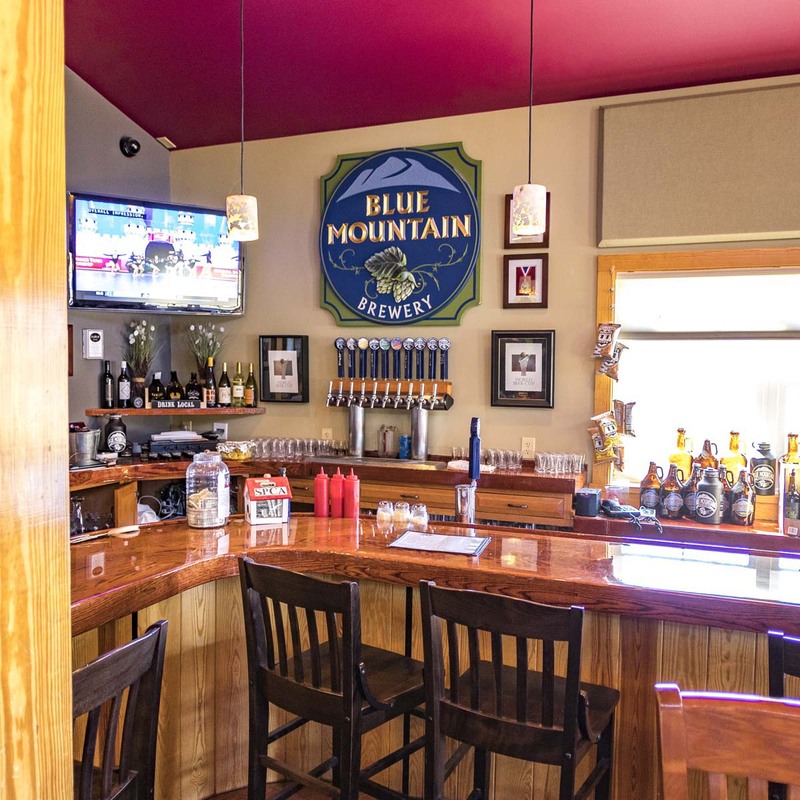 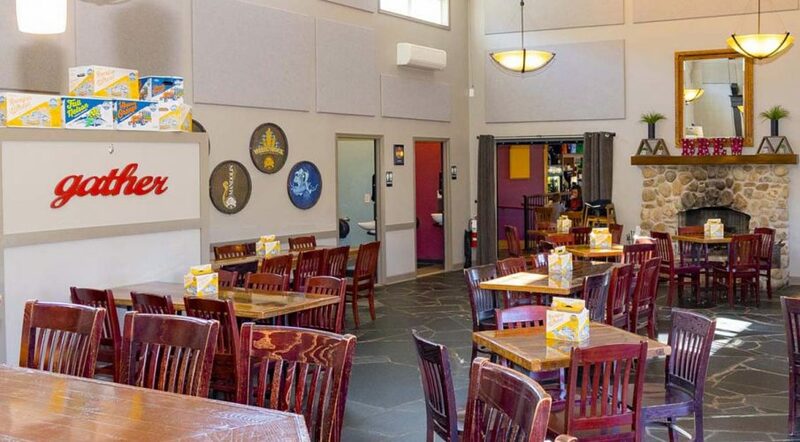 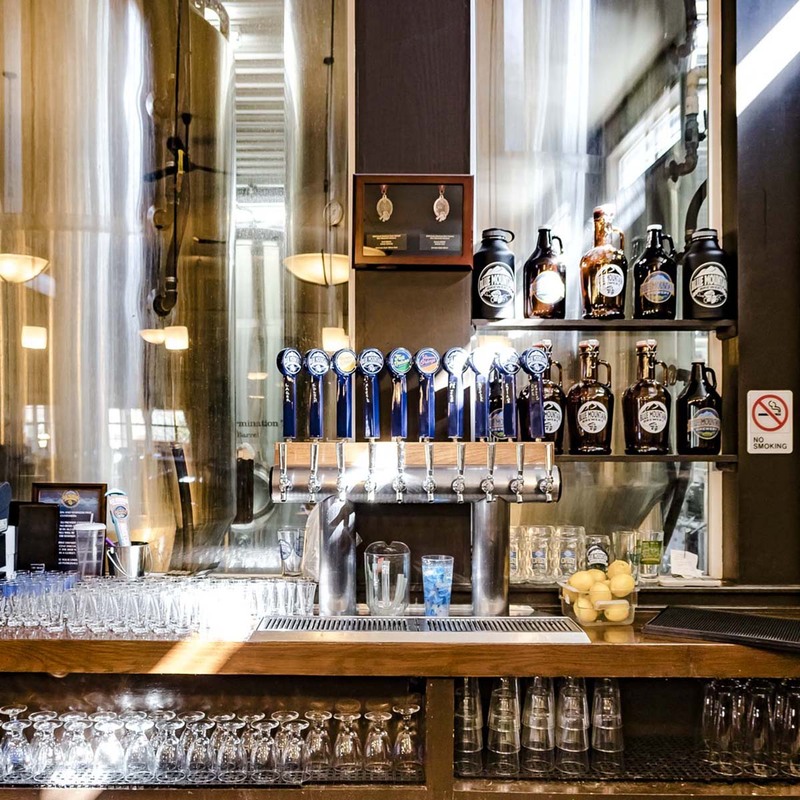 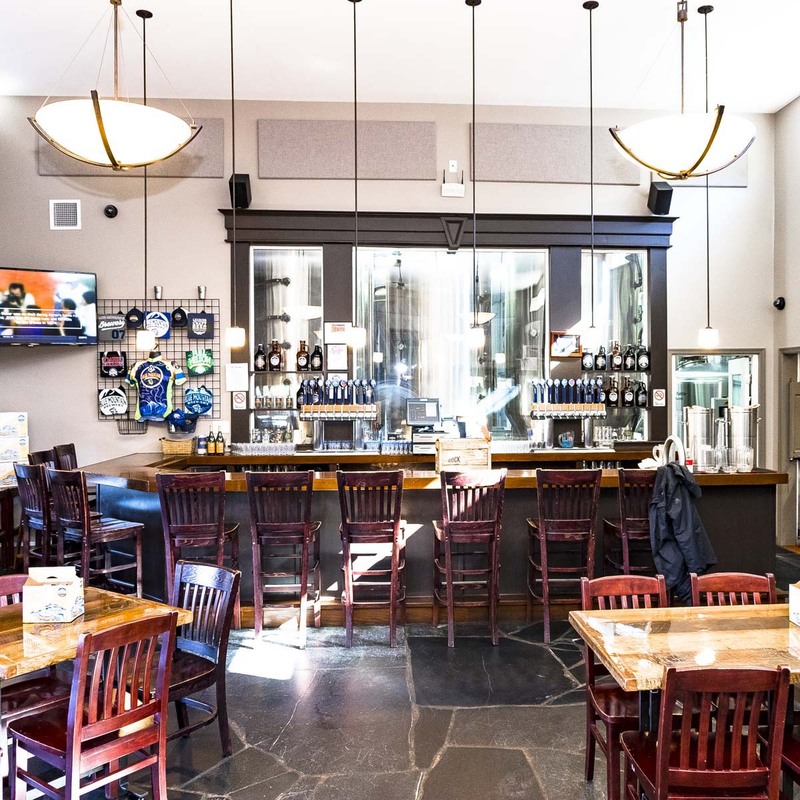 Blue Mountain Brewery improves the sound quality of their tasting room, so patrons have a relaxing atmosphere in which to enjoy their beverage offerings. 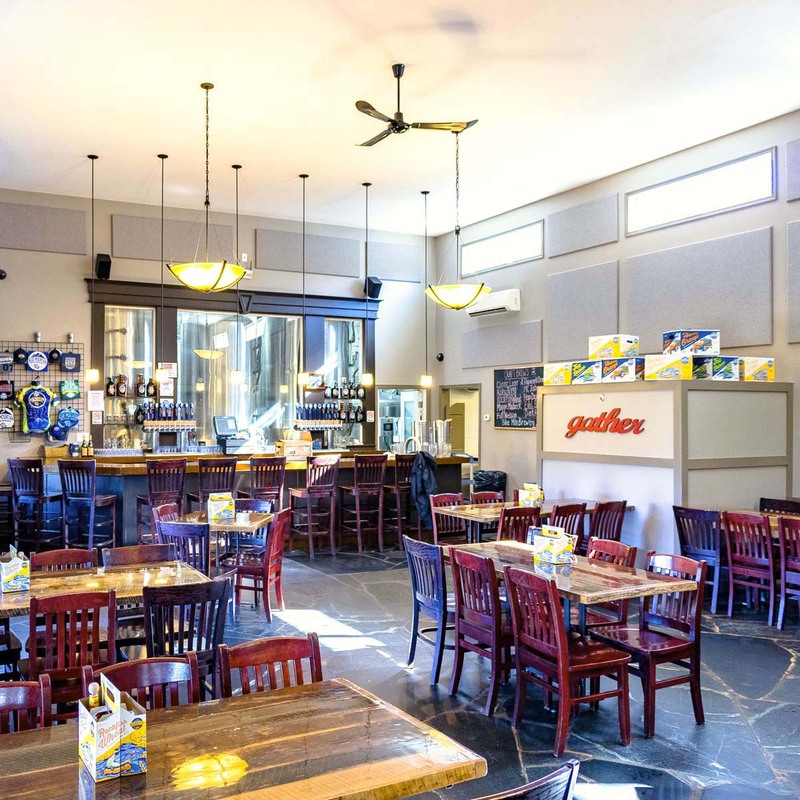 Many craft breweries utilize tasting rooms as part of their manufacturing facilities. 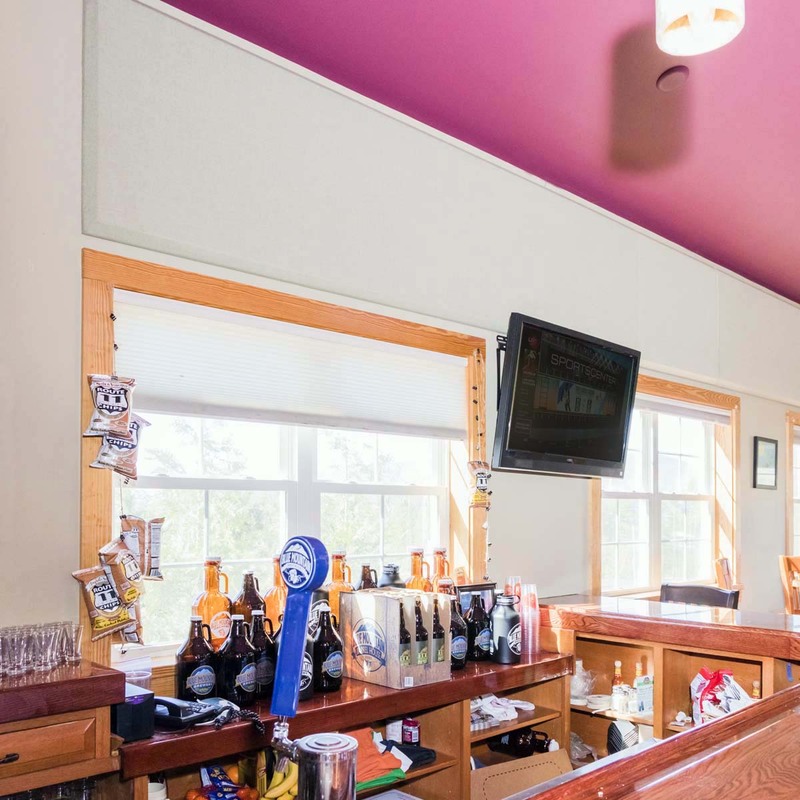 This allows them to interactively inform and educate their customers about what they have available at any given time. 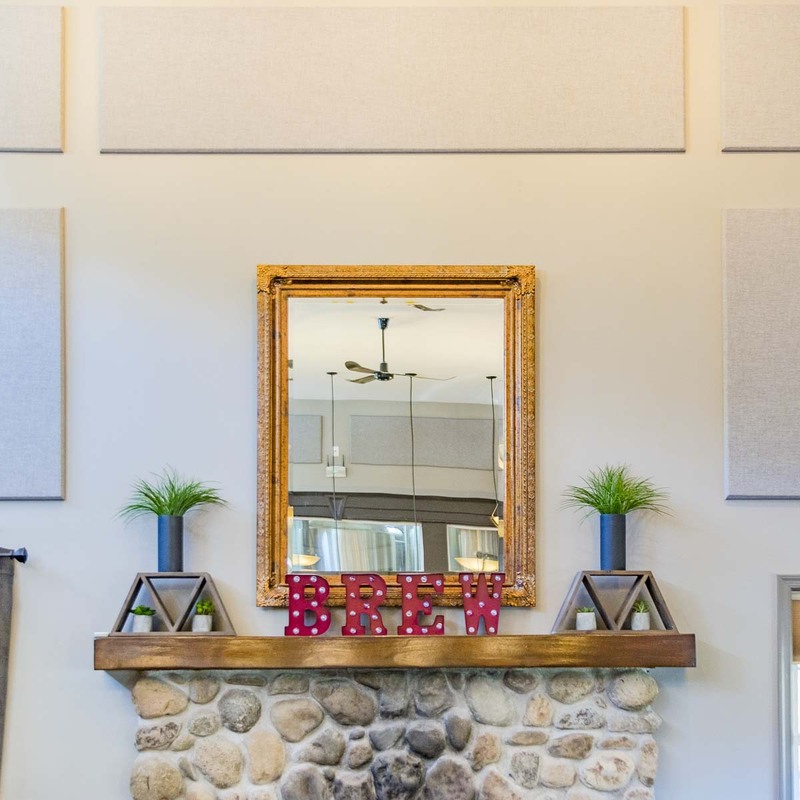 Based on these criteria, the ability to provide an environment with good sound quality is a must. 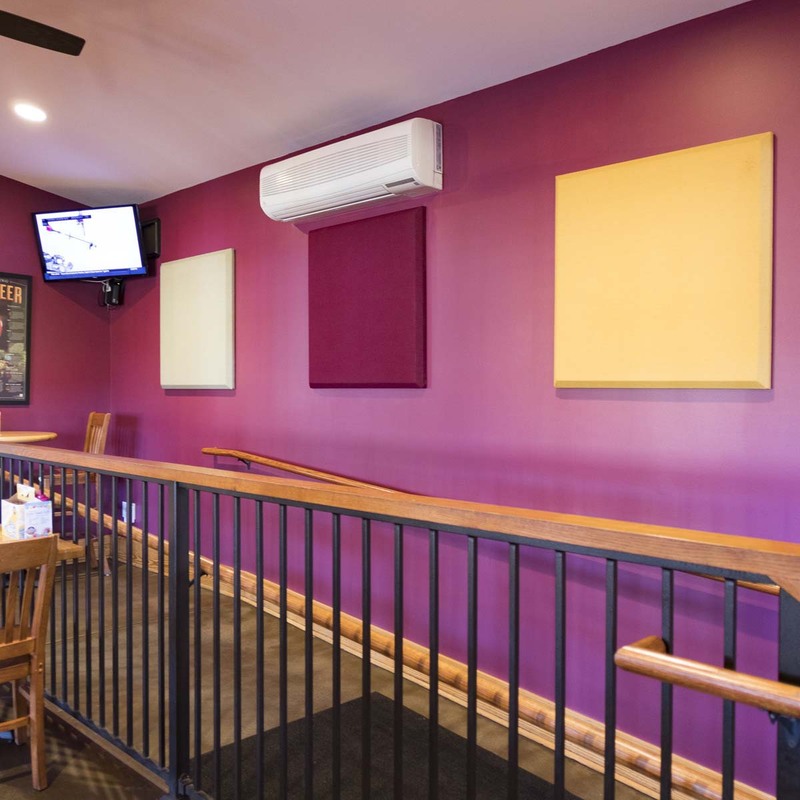 In having previous success with acoustical panels in their dining area, they knew just who to call. 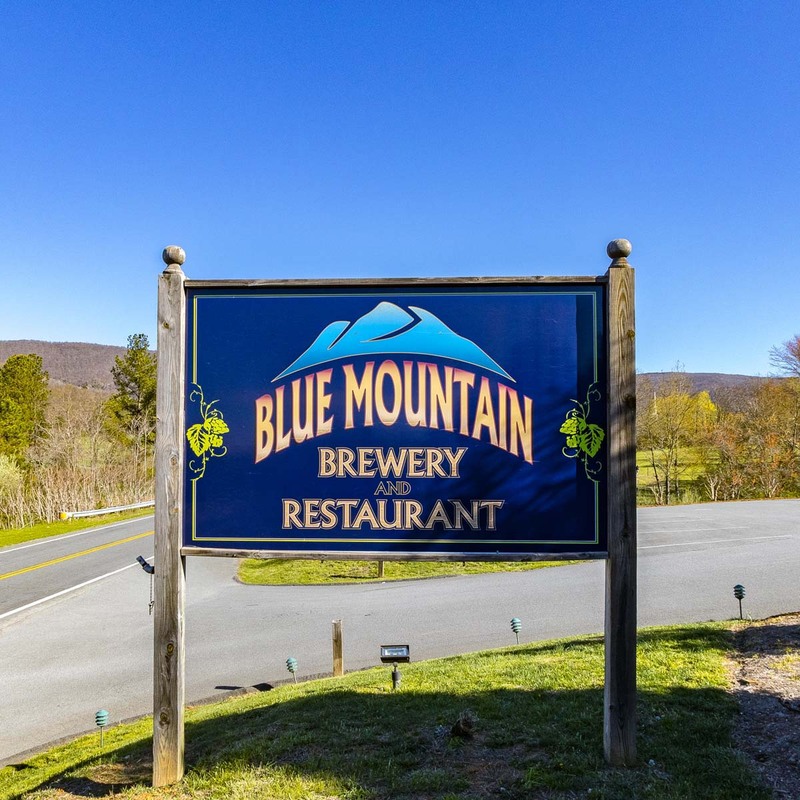 Blue Mountain Brewery opened their first brewery in Nelson County, VA in 2007. 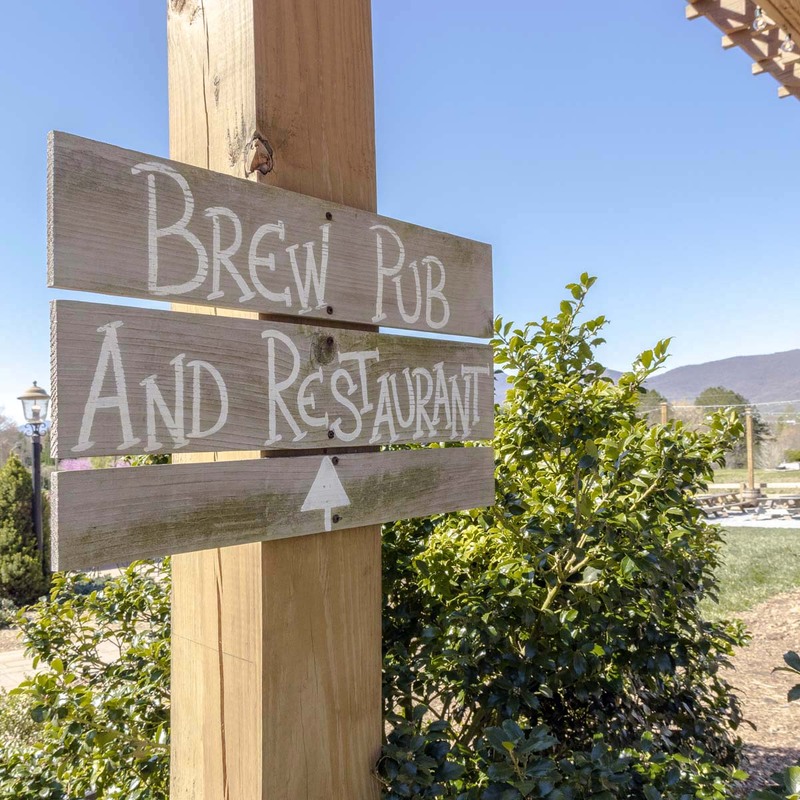 Nestled in the heart of the Blue Ridge Mountains, this “Farm Brewery” is unique in that they grow their own hops. 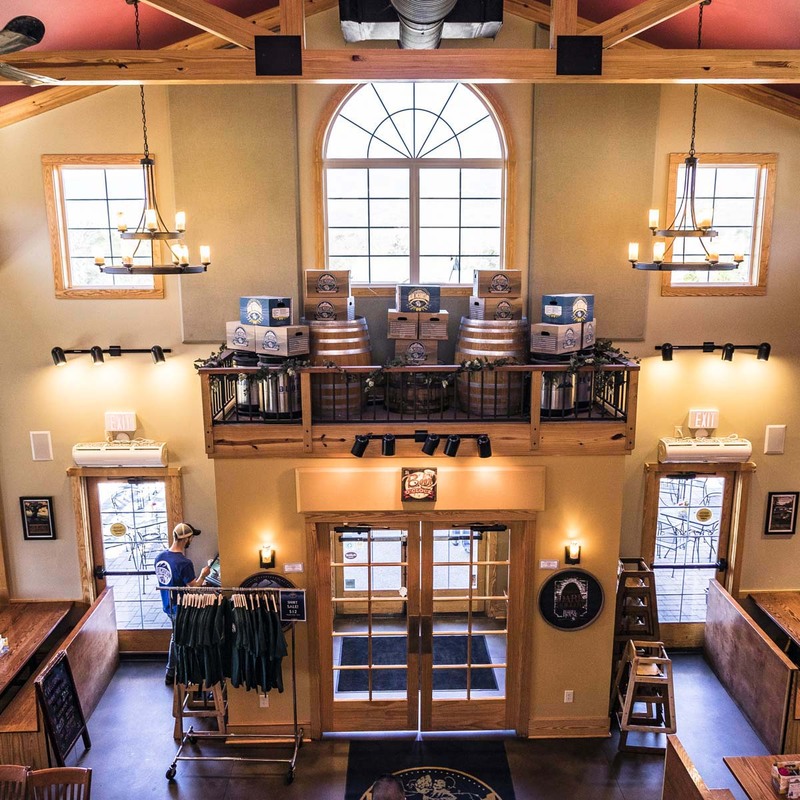 They are also the only brewery in Virginia to win back-to-back Gold medals at the Great American Beer Festival. 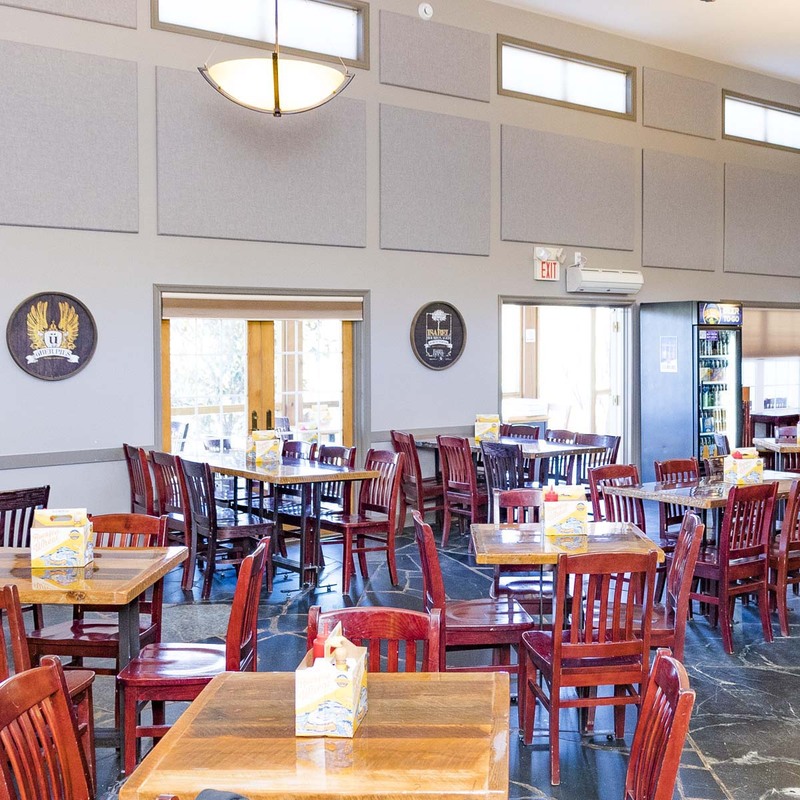 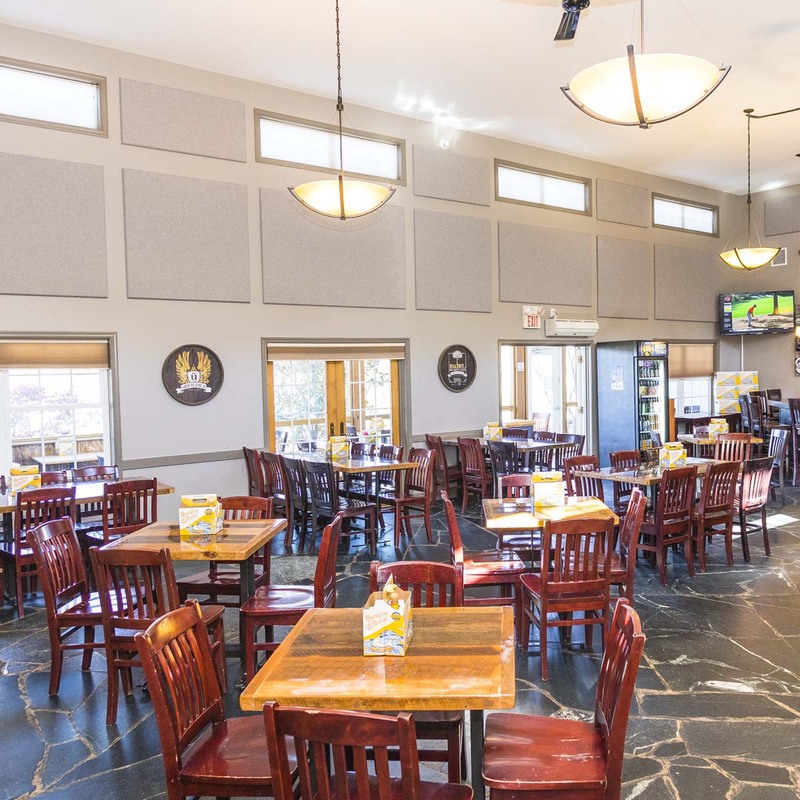 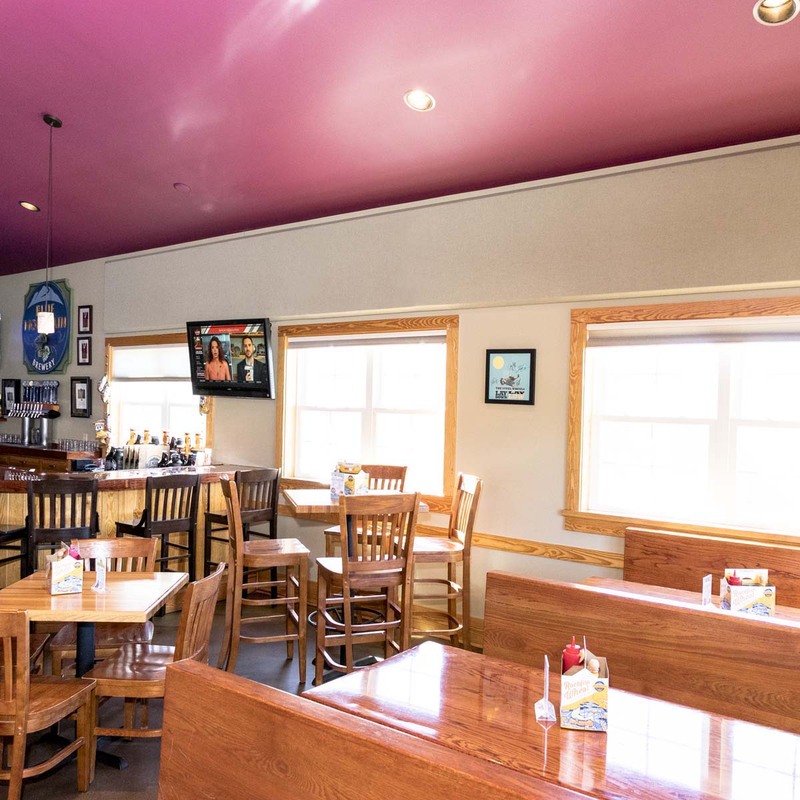 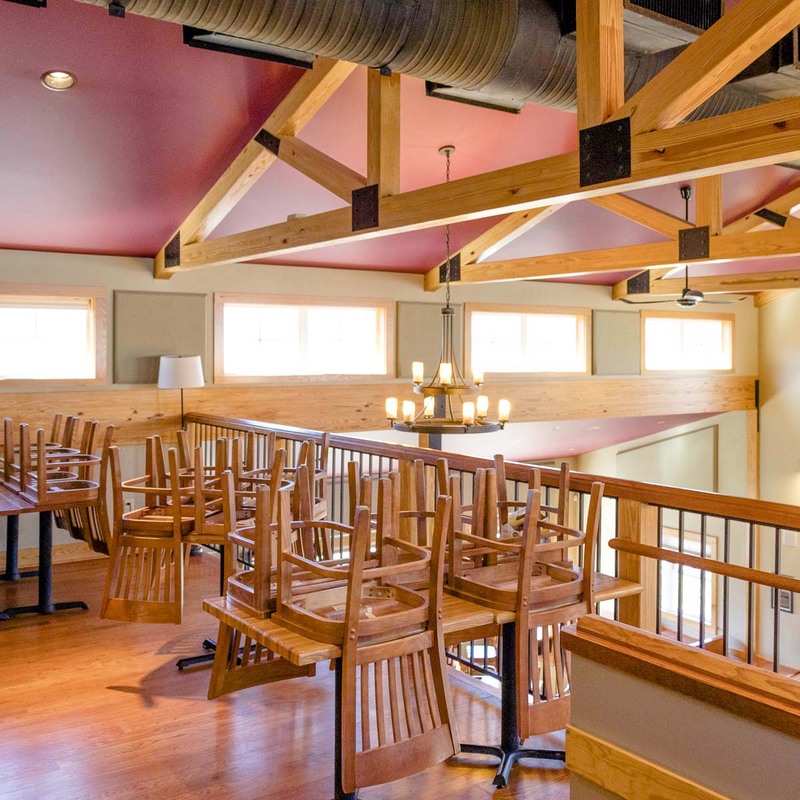 In addition to the brewery and bottling facilities at their main location, the facility features a front-of house restaurant and brewpub serving a variety of delicious foods and beverage options. 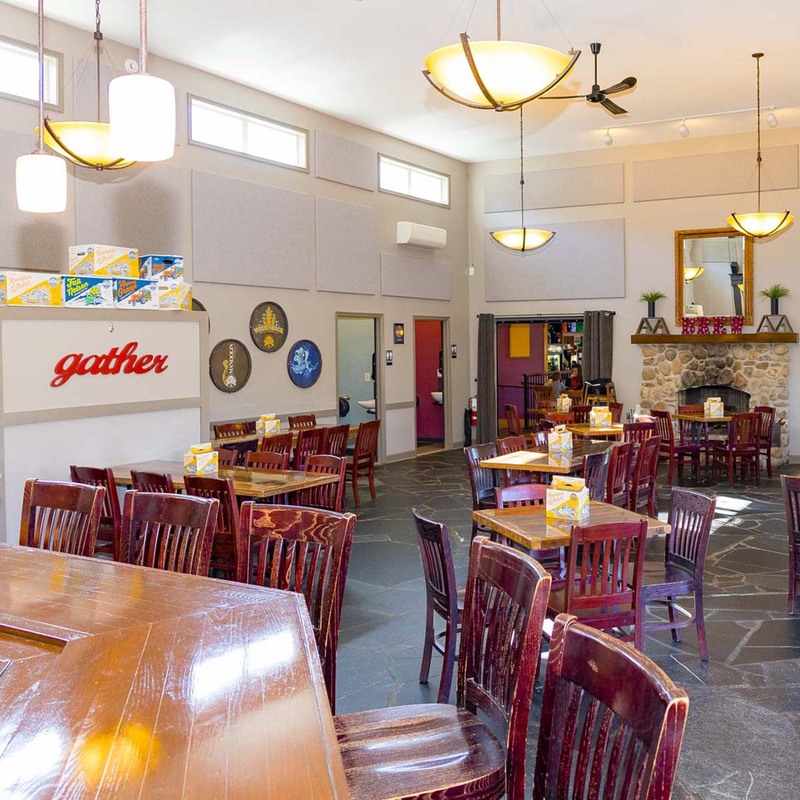 The pub area had recently been converted into a tasting room and a place for special events. 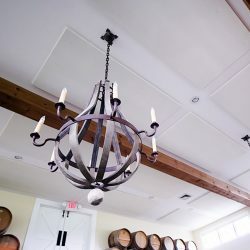 The completed room is 44′ x 27′ with moderately high 16.5′ ceilings. 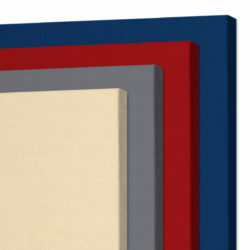 All the surfaces are hard. 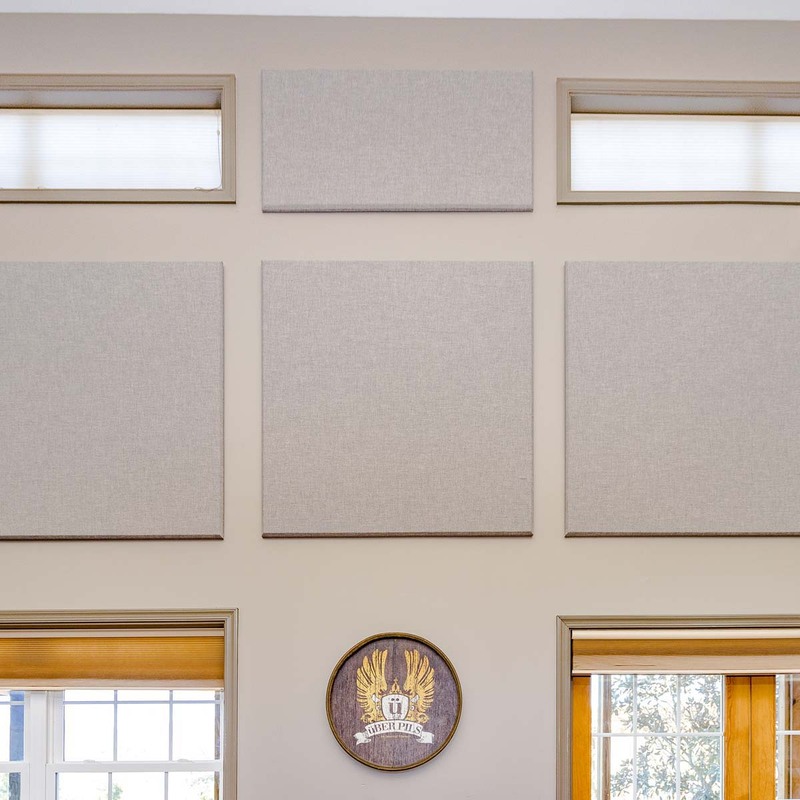 Sheetrock walls, poured concrete floors, and several large windows will reflect sound and create echoes if the room is not treated. 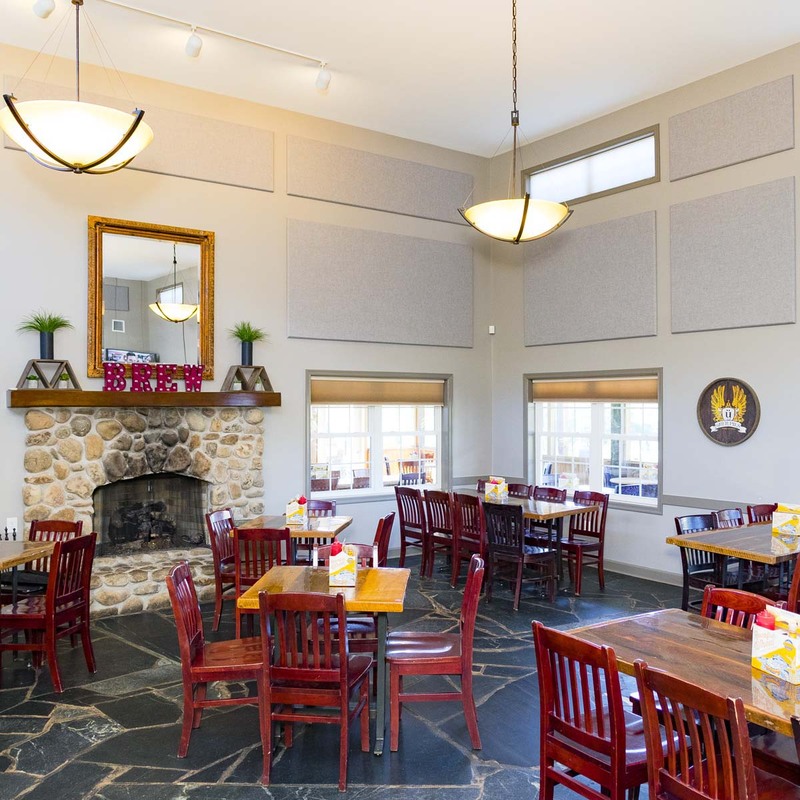 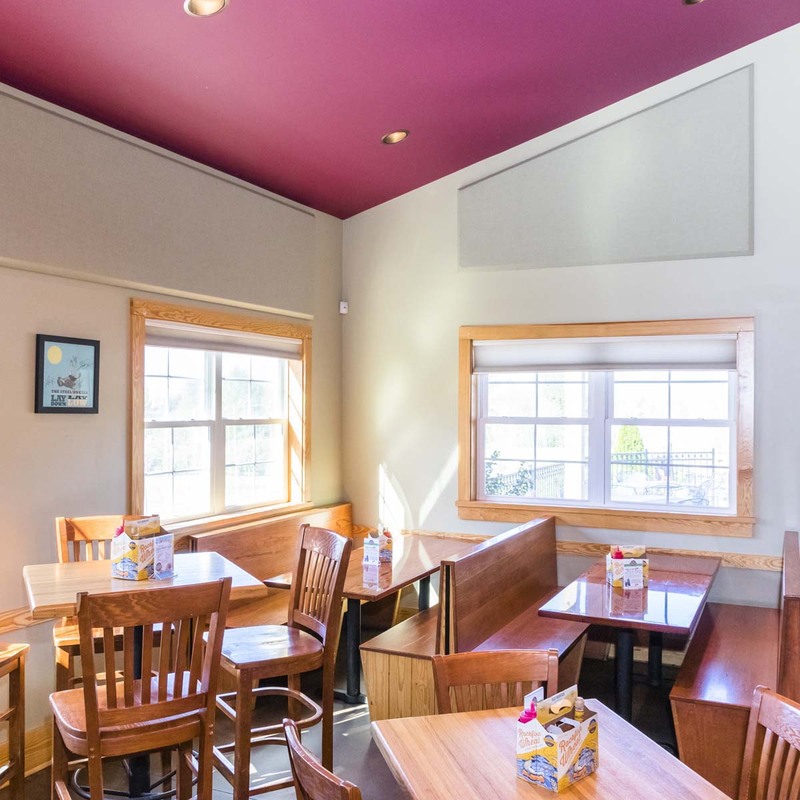 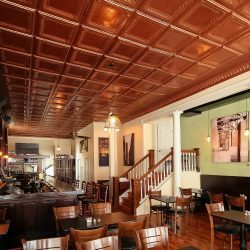 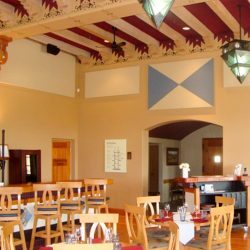 The owners had previously treated portions of the dining room with acoustical panels. 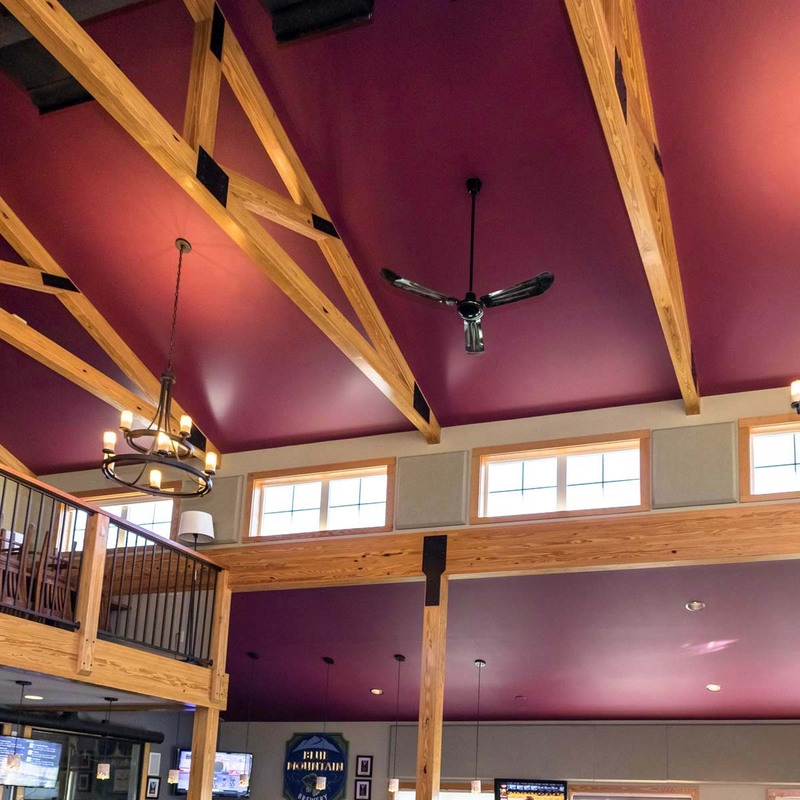 With this experience under their belt, they knew that they would need to go with a more comprehensive, designed solution this time. 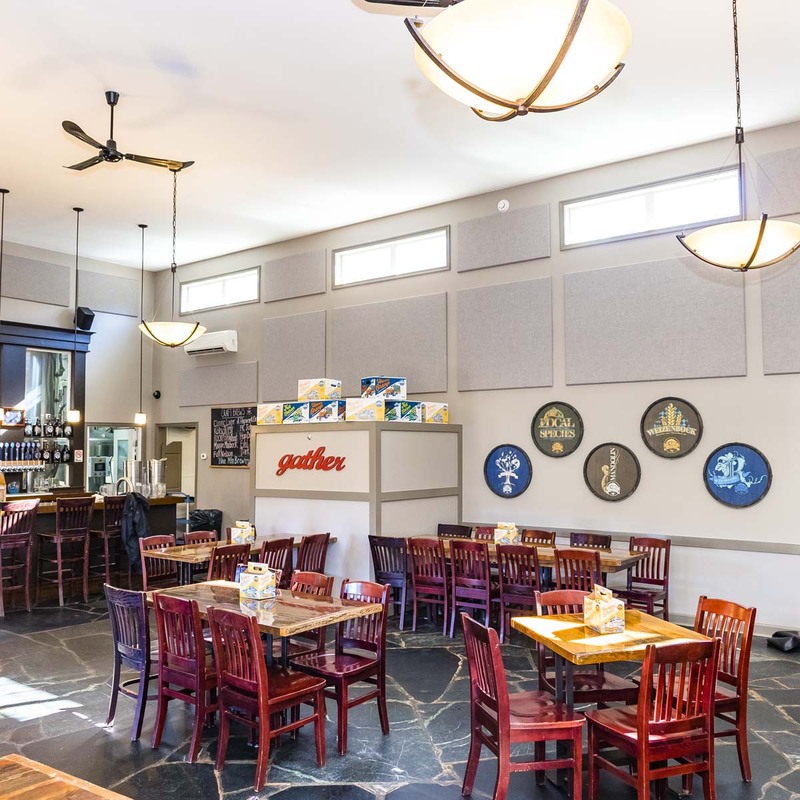 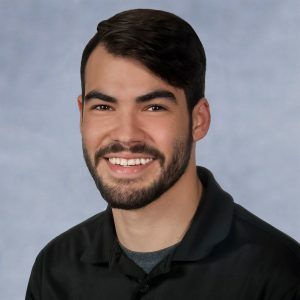 Having worked with Acoustical Solutions in the past, they reached out again to help with treating the space before it became open to the public. 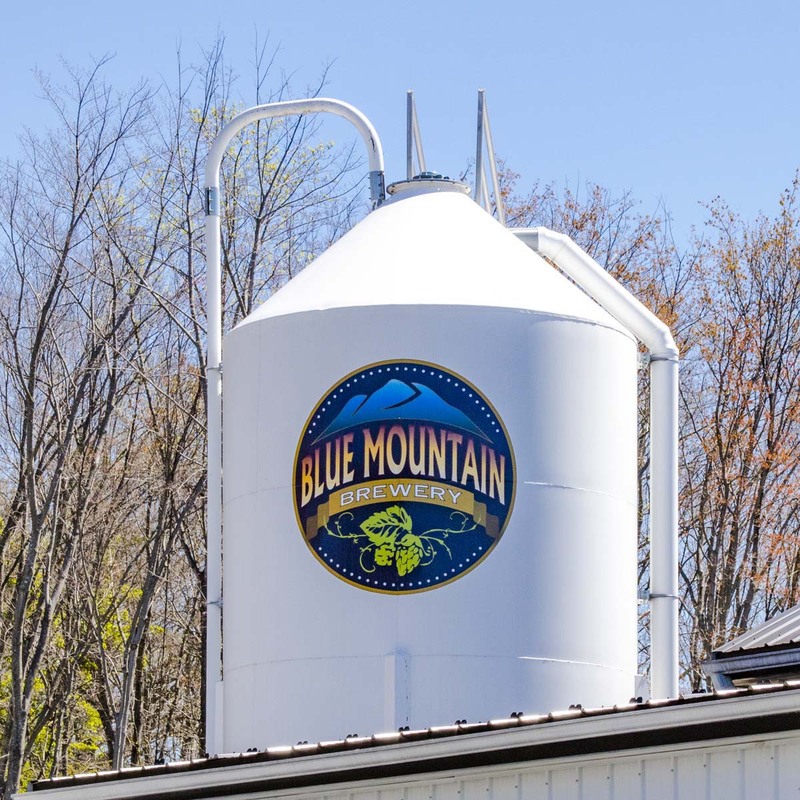 The owners of Blue Mountain Brewery desired an aesthetically pleasing solution that would blend in with the new design. 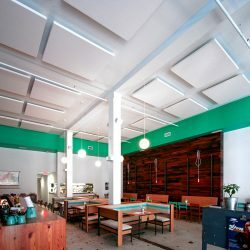 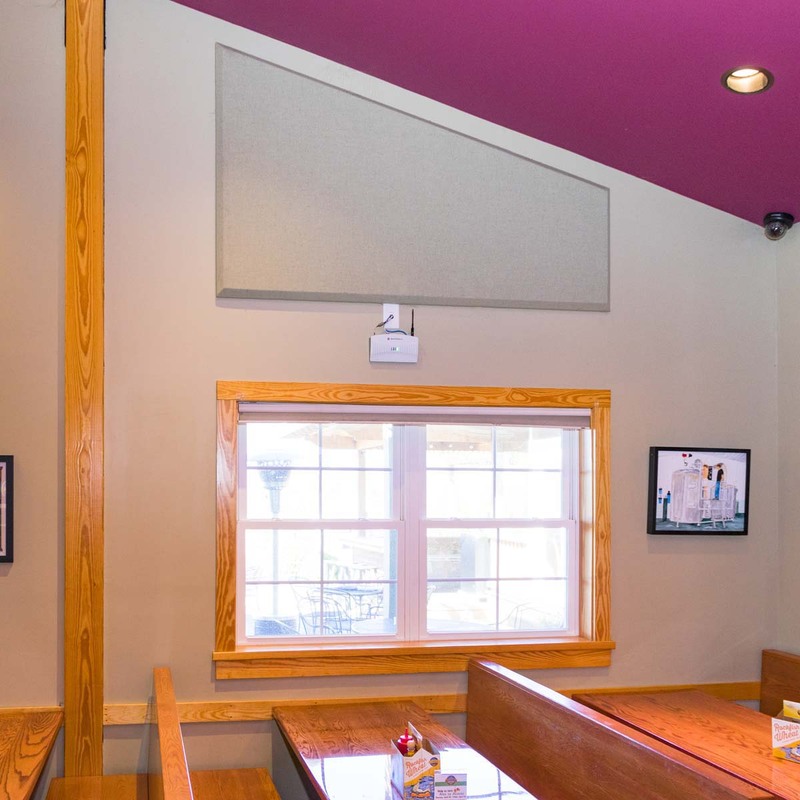 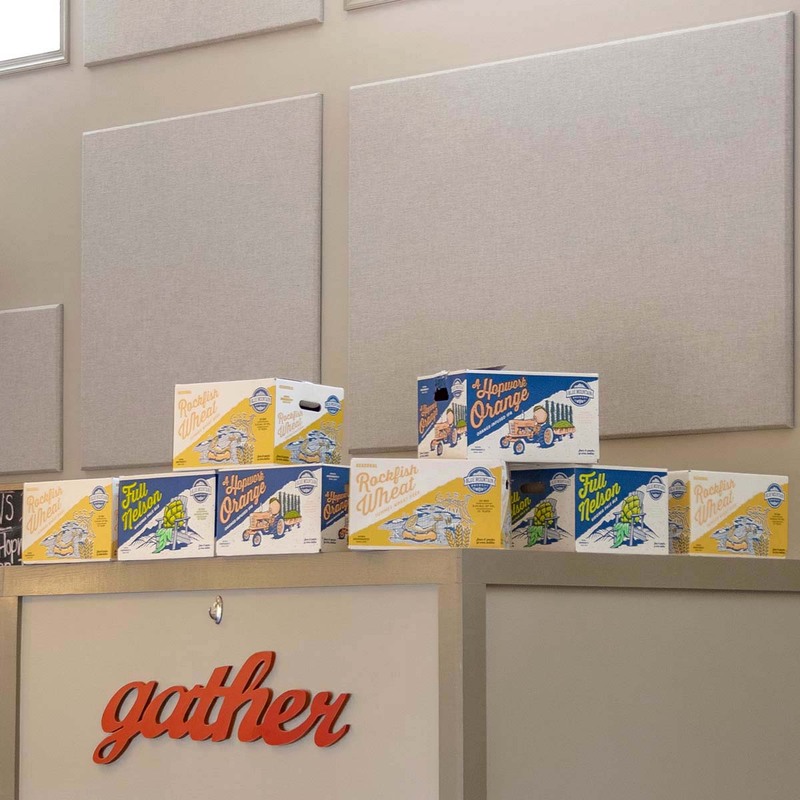 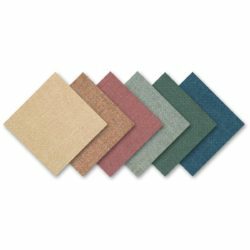 Knowing that the fabric wrapped AlphaSorb® Acoustic Panels worked well in the dining area, it was essentially just a matter of determining a color and layout. 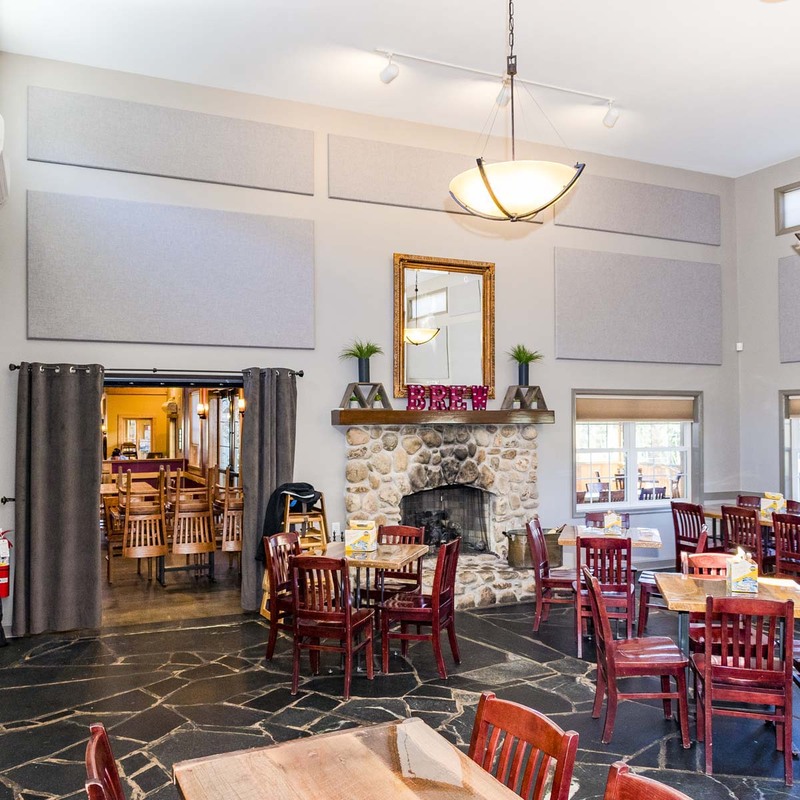 Acoustical Solutions surveyed the facility to determine the quantity of material required and proposed a layout for the tasting room. 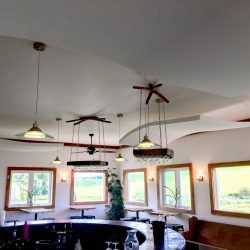 There were several obstructions in the ceiling, including some large ceiling fans and several pendent lights. 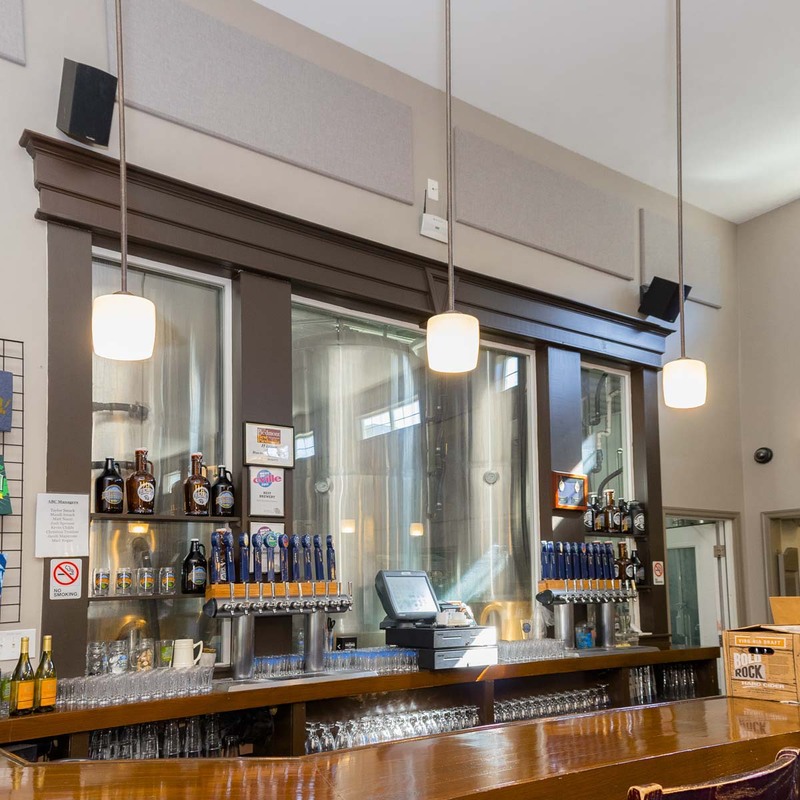 Since the brewery staff would be installing the material, they desired an easier layout option. 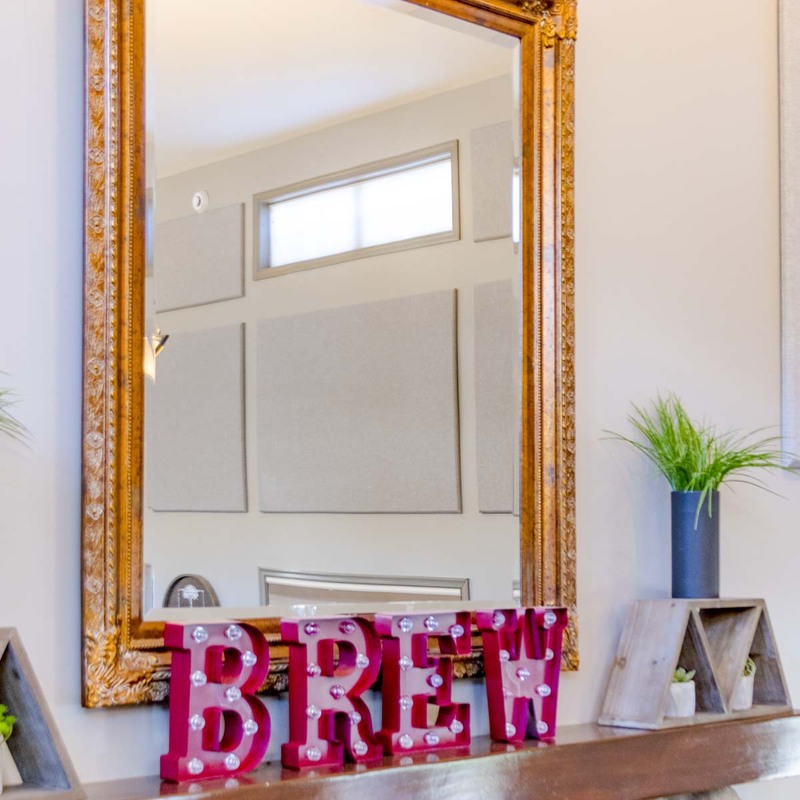 During the visit, we acquired room measurements and noted their concerns. 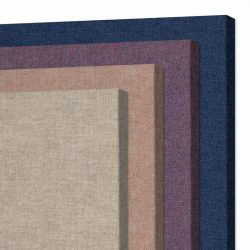 Later, he drew up a panel layout for each of the walls. 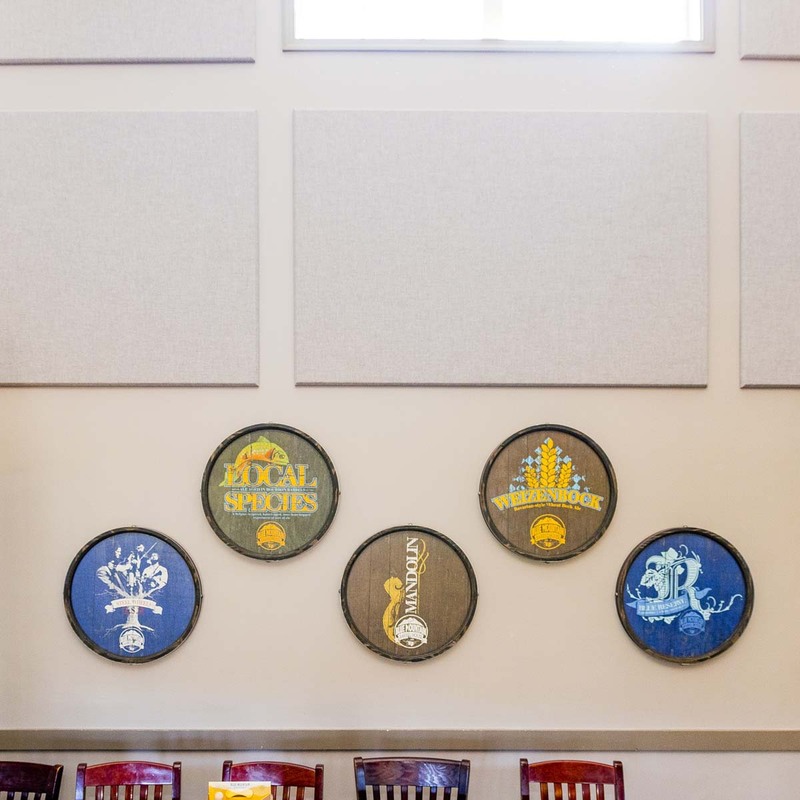 This way the staff would know exactly where to install each panel. 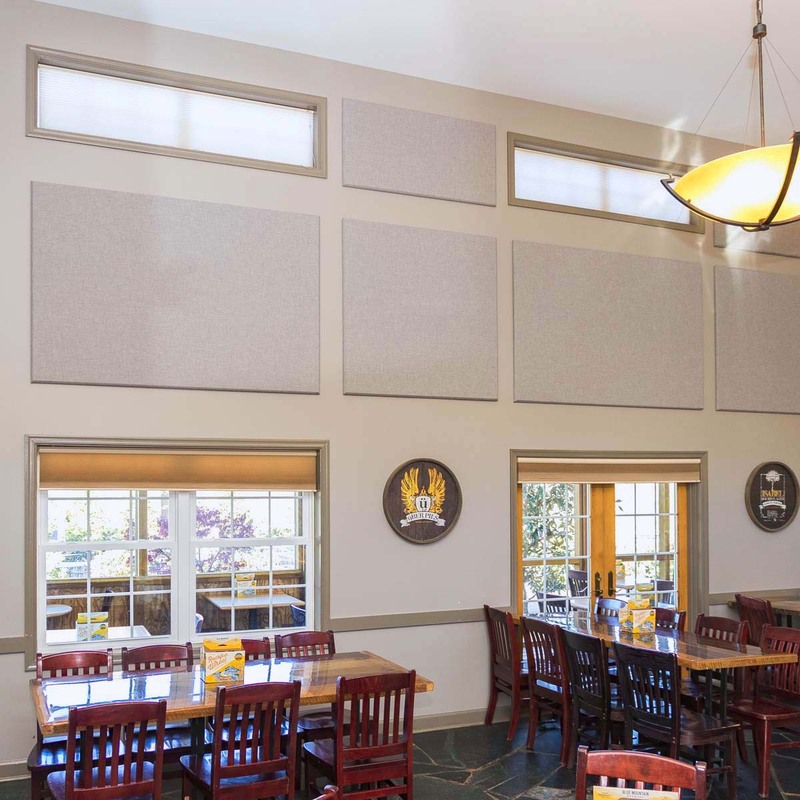 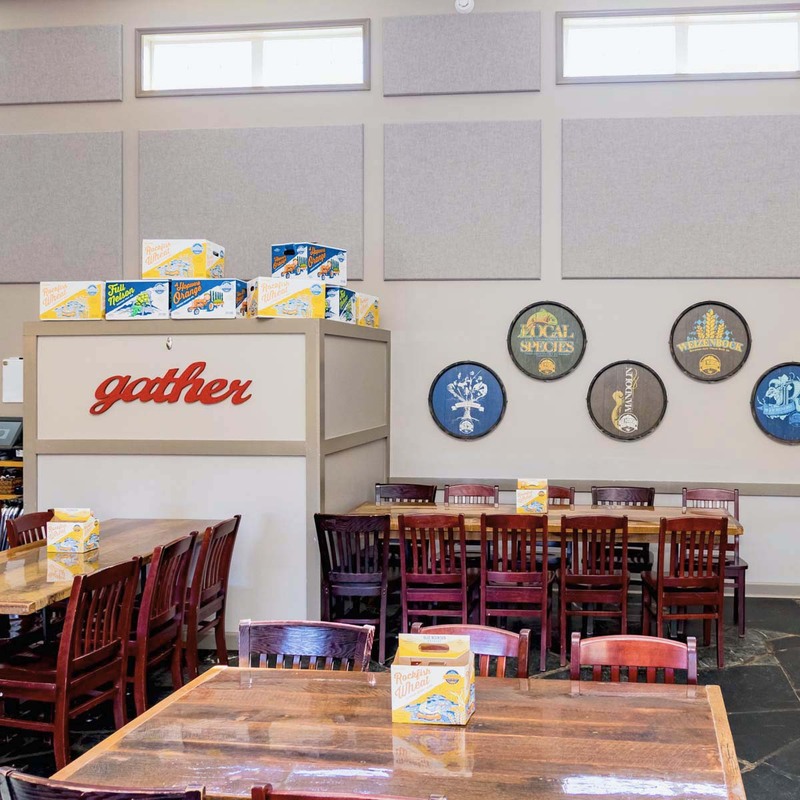 A combination of AlphaSorb® Acoustic Panels and SoundSuede™ Acoustic Wall Panels are part of the treatment in the dining area of the brewery. 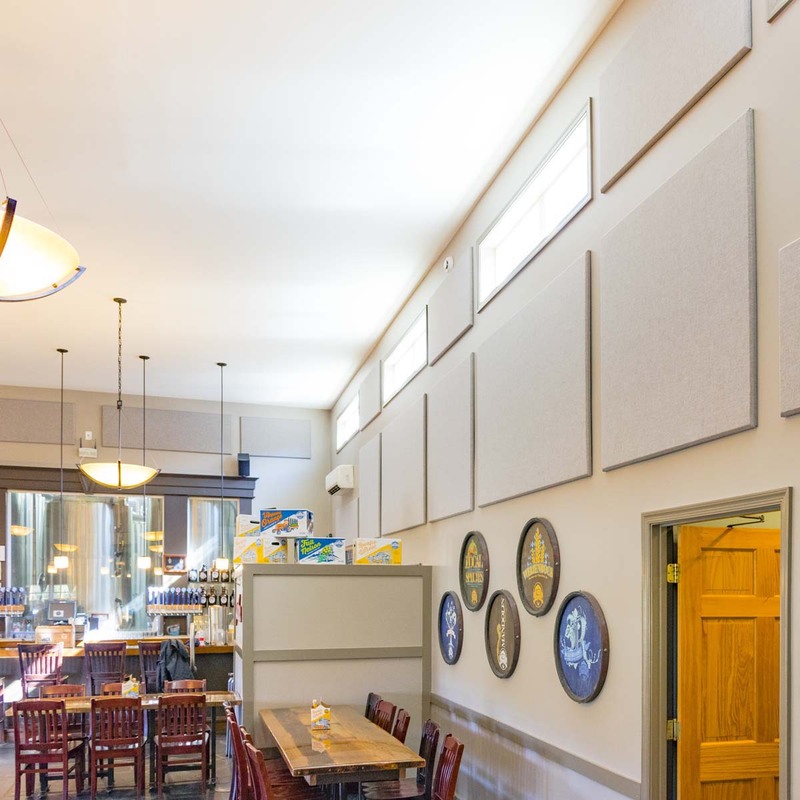 The new panels not only look great but are helping to improve the sound quality of the tasting room space. 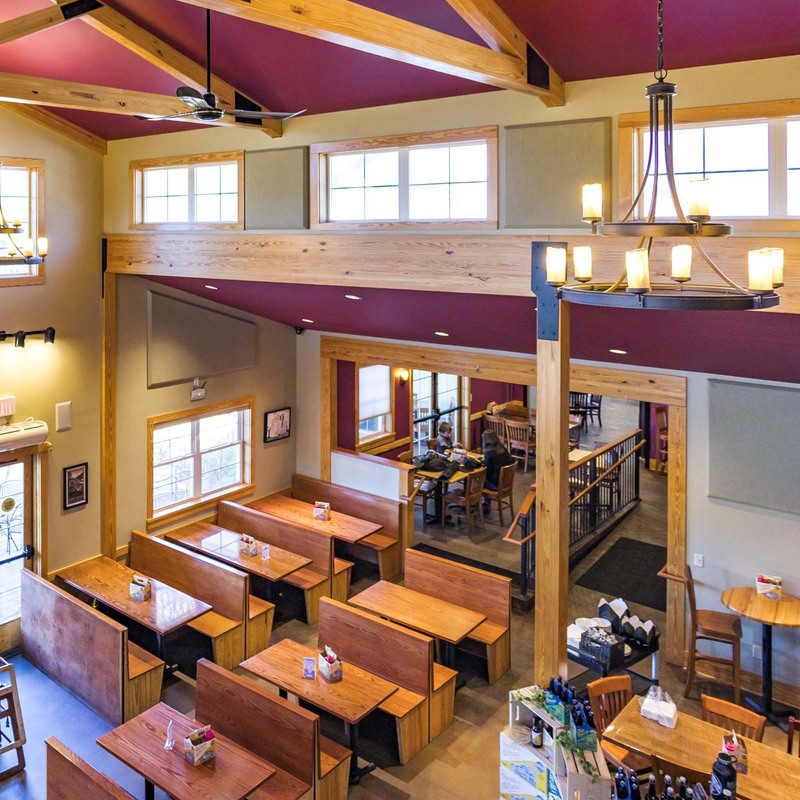 Customers can now carry on conversations with friends and family and enjoy the relaxing atmosphere and beautiful scenic views outside.